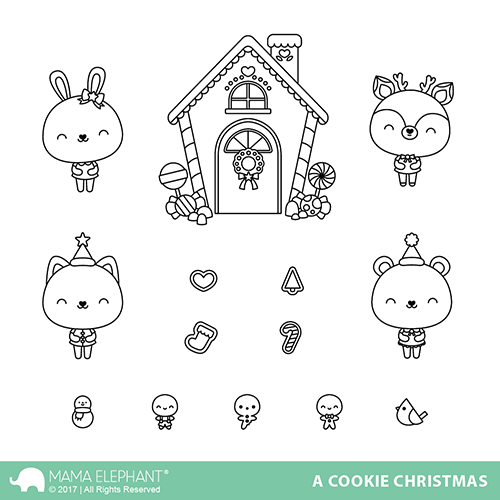 We are super happy to Introduce today's set - A Cookie Christmas from the lovely Luli Bunny! Luli has been with us several years now and her kawaii, eye-popping designs never disappoint! 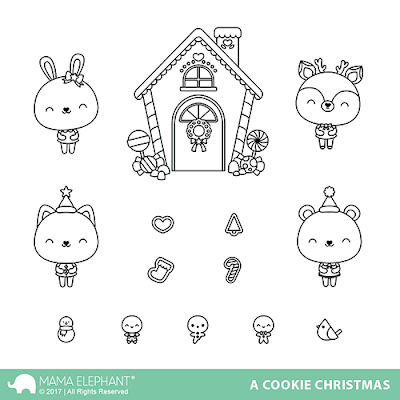 A Cookie Christmas may just be one of my favorite sets ever from Luli - not only for the cute critter sin their holiday get ups, but that gingerbread house is super, duper cute! We've designed the coordinating dies to have the door open and close similar to Meowy Christmas which was released last year. That opening and closing door makes the set that much more fun! Go ahead and play peek-a-boo! Check out the cards I created with it! Thanks for looking! We're almost there! Adorable! love how the house can be mixed with the reindeer and Santa agenda!!! Cookie Christmas is so very SWEET! Oh my gosh !! Would you stop it !!! I'm dying from to much cuteness !!! Love this set! Might be my favorite of the new release! Such creative and sweet projects! So cute and love the Merry smoke sentiment. Awesome images. Such cute cards, love the Merry sentiment on the first card! This set is so incredibly cute! Love that so much. Love,love,the gingerbread house.Youve captured adorable. Oh so cute! No one can out sweet you! I just love this cute set; too cute!! !